The journey of HEIMPLANET began in 2003 with the idea for a new tent concept that occurred during a surf trip in Portugal. In 2011 the first inflatable tent THE CAVE was launched. Since then, HEIMPLANET has presented a whole range of innovative tent designs alongside their Monolith luggage series, which focuses on a simple formula – a bag for every trip and everyday. This formula is what the design and development at HEIMPLANET focuses on: we develop products that work in a great variety of surroundings and situations. At HEIMPLANET we combine the best technical features available with a clean and simple design. The results are extremely versatile products that fit for every trip and everyday, wherever you go. The idea of HEIMPLANET was the idea of an innovative tent design in the beginning. It was born during a surf trip along the Portuguese cost line in 2003. We traveled along the coast and therefore had to set up our tent several times. One day we arrived quite late on the spot where we wanted to stay that night, it was getting dark and it started to rain while we were trying to pitch our tent. That was when we started talking about the idea to improve a tent. At that time it was just fun talking about a tent from the future. It was 2008 when we took it serious and started to work to make the idea become reality. The design was born out of the idea to create a whole new tent experience. The main aspect, it is an inflatable tent, so there are no poles. You just unroll and inflate it. The whole set up just takes about 2 minutes, the inflation about 1. After using it, you open the valves, it deflates, you fold it and are good to go. It makes camping less complicated, leaving more time to enjoy the real traveling experience. 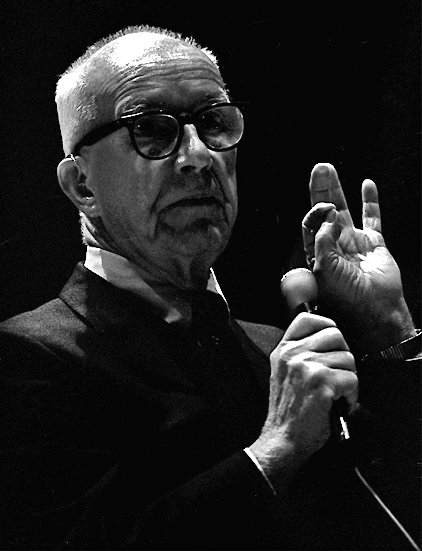 During our development project we stumbled over the architect, designer and futurist Buckminster Fuller. “Bucky” had a great impact on the field of geodesic domes, a principle that we use for the inflatable structure of our tents. The geodesic design of our tents ensures, that stress gets distributed across the whole structure. Besides its great stability, geodesic domes offers a very efficient structure, they enclose the greatest volume for the least surface area. We combine this geodesic principle with our inflatable technology and transform it into our IDG (Inflatable diamond grid) technology. This combination creates an enormous stability. We were very surprised, when we tested our prototypes for the first time. During our research we learned a lot about Buckminster Fuller, his work and his philosophy, which was a great inspiration for us. He was an amazing character and his ideas completely blew us away sometimes. While we were talking about his ideas one day, we came up with this picture of carrying your house around the world. That was when the idea for our name, HEIMPLANET was born. In German there is a special word that exists just in German: Heimat. It describes the place you feel at home, the place where you belong, the place you are dedicated to, the place that makes you feel like its all going to be all right somehow, no matter what. We liked the idea of taking some of that place around our planet while traveling. After finishing our first product, the inflatable tent The Cave, we asked ourselves, what could comes next. What do we want HEIMPLANET to be? We believe we will spend the next years, answering this question, but one thing we knew right away: We don´t want to be just a tent company. HEIMPLANET should be a brand that enables people to travel the way it inspires us. We believe this does not just apply to long trips, expeditions or special holidays. It´s something you can try to accomplish every day, wherever you go.